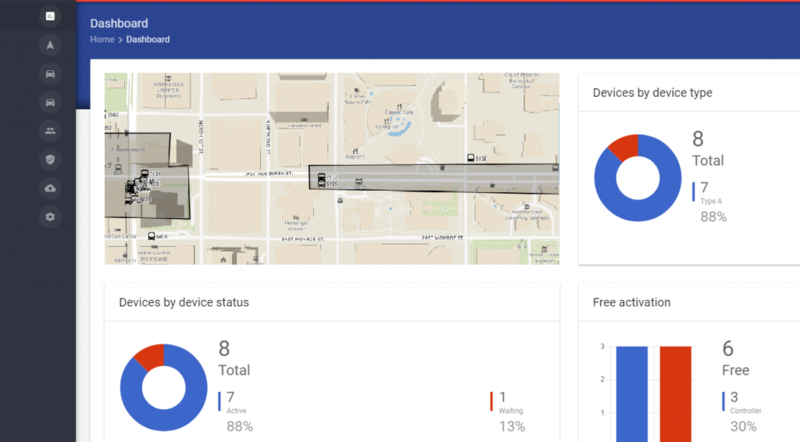 5 steps to track your assets and IoT in real-time on a map in few minutes! Today, connected objects, GPS and other sensors are affordable for everyone and within 3 years, the IoT market should double to 520 billion USD. The problem is that companies are still reluctant to adopt these technologies, among others, due to the complexity of integrating IoT solutions into business processes. Integration continues to be a barrier to greater IoT adoption as well. Bain found that vendors haven’t simplified the integration of IoT solutions into business processes or IT and OT as much as enterprises have expected. It is therefore necessary to understand the issues for successful integration of IoT in organizations. Whether for automating or monitoring the assembly line, real-time vehicle tracking, precision farming, optimizing snow removal systems or monitoring parking spaces, essential steps must be taken. used and implemented to properly integrate IoT. What data must be transmitted? It is necessary to accurately determine the data that is absolutely necessary to adequately meet your needs: Temperature, position, image, events from the device, … ? Frequency ? Each seconds, hour, or related to a particular event ex. when the device moves or reach a specific threshold (edge computing) ? Data encoding ? How data is transmitted from the device (MQTT, JSon, données binaires, …) ? And then, is the device already installed in the infrastructure or new one must be acquired ? You will have realized that there are no simple and unique answers, all depending on the needs and available infrastructure. When equipment and their specifications are defined, it is necessary to acquire the data from the IoT. To do this, the devices must be configured to transmit the information updates to acquisition systems with a standard protocol such as MQTT, CoAP or a proprietary protocol. For more details on the protocols used in the field of IoT, see this excellent article on the subject. 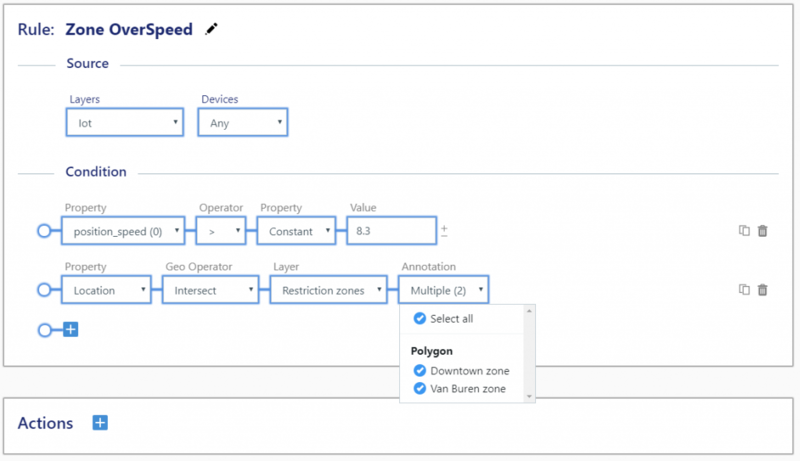 Information from the IoT must then be routed to message management and redirection technology such as AWS IoT Core, Azure Iot hub, PubNub, or Apache Kafka. These solutions make it possible to route, depending on the task and needs, the IoT message to the right services that have to process the data and store it. Before storing it, the data processing module is executed and it can be composed of several sub-treatments. For example, the raw information can be filtered, validated, and a rules engine can be used to make decisions about the new information. When a GPS reports its position, this step will confirm whether it is in a specific zone and if an email should be sent to its supervisor, for example. Once the data is processed, it can now be stored in a database. A popular technology is to use a NoSQL system in order to store data without a predefined structure (e.g. MongoBD, CouchBase, AWS or Azure). This makes it possible to store, in the same document, several types of IoT that do not have the same data schema. 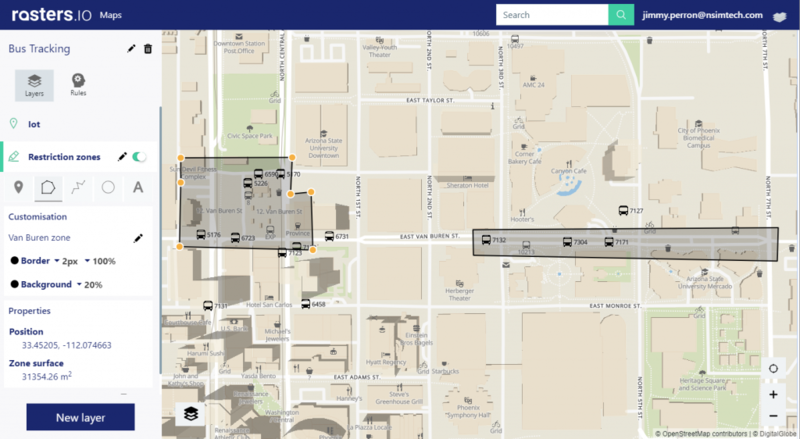 It is then easy to make the requests to display them on a map or in a dashboard. It is therefore a process that involves several complex, expensive technologies and specialized expertise; so I can understand that many companies are reluctant to embark on the adventure. 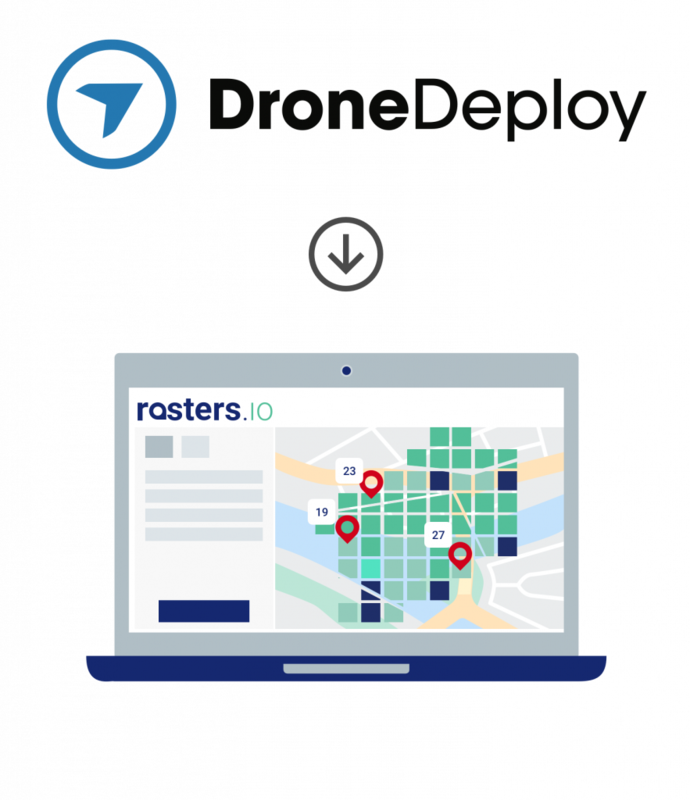 The Rasters.io web platform offers a complete solution for deploying, in record time, all the components needed to manage your IoT. 6- A tested turnkey system, and simple integration directly into your portal. This saves you development time, IT infrastructure and integration time. 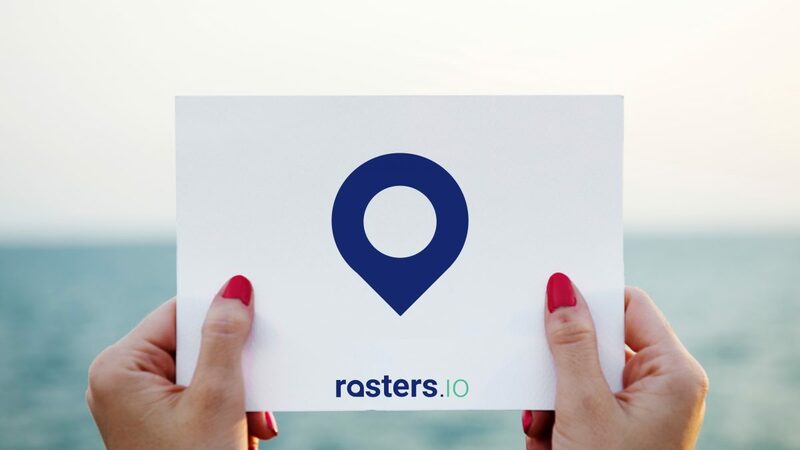 Concentrate on the essentials of your product and let Rasters.io do the rest. 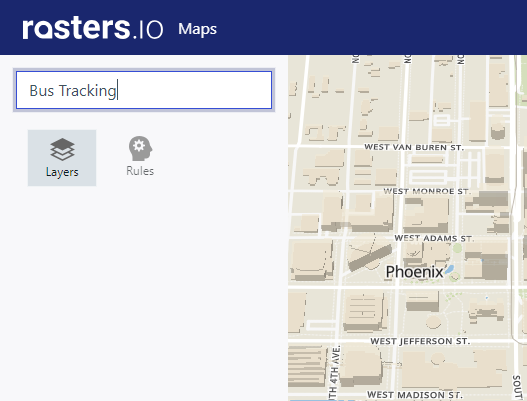 Here’s an example of how to configure Rasters.io to track assets on a map and embed that map into your website. 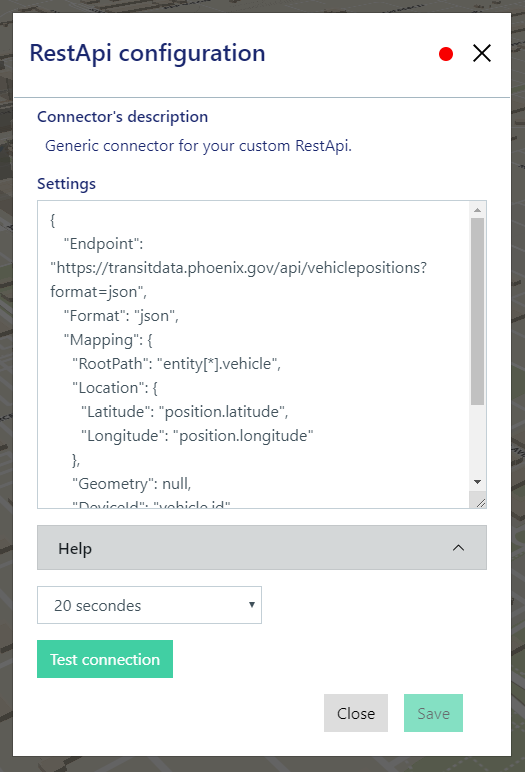 This JSON specifies how the RESTApi connector will process data from the data source. Copy it in the “Settings” section of the connector, choose the update frequency (20 seconds in our example), and test the connection “Test Connection“. If the configuration is well defined, the connector will turn green and you can save the settings. For all details concerning the configuration of the connectors, you can consult the tutorial. In addition, all the information coming from the IoT will appear in a tooltip (speed, direction, date, etc.) on the right. This information comes directly from the device (IoT) and is generally not very readable in addition to containing properties that do not interest us. To use only useful information and improve visibility, set the desired properties (3). 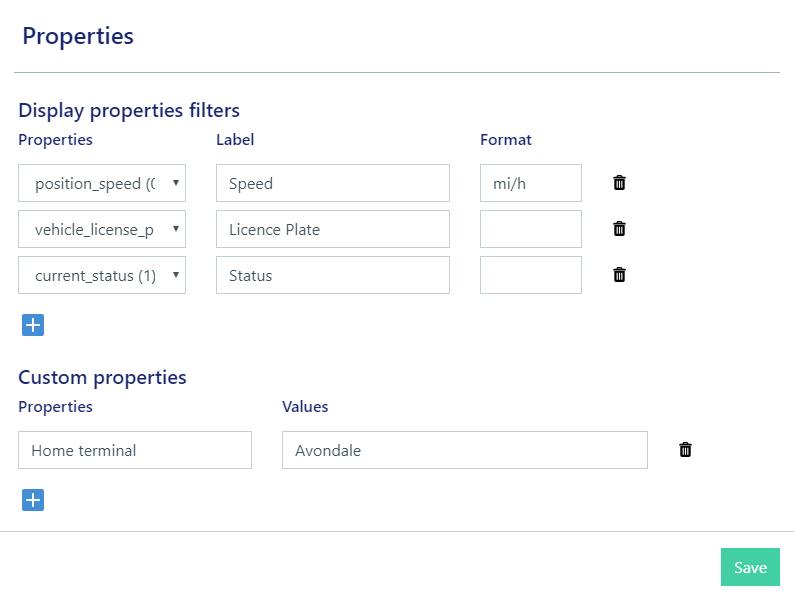 Using this panel, you can select only the properties to use and assign them a readable name and a unit. In this case, only 3 properties have been selected. In addition, a property has been manually added to all objects in this layer: “Home Terminal“. This property will be added to all objects. Thus, users will only see properties that have been selected with a much more readable name. 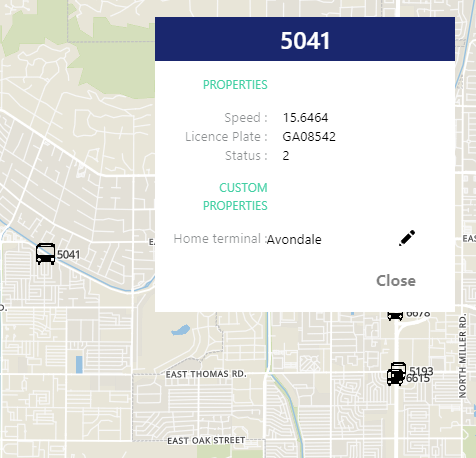 From now on, the IoTs are correctly configured, the vehicle information is updated every 20 seconds and the history is automatically stored in Rasters.io. 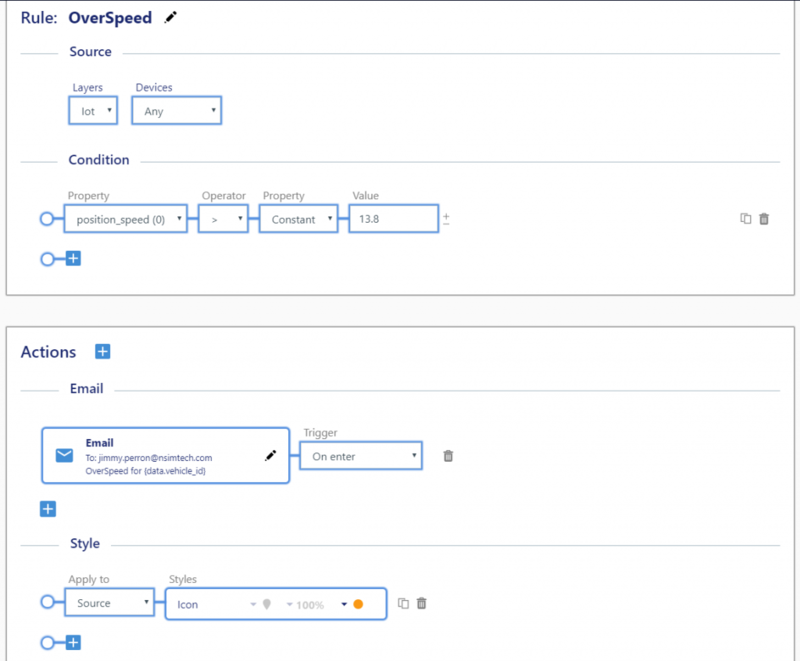 To do this, in the “Rules” section, add a first rule by naming it “OverSpeed” and specify the following configuration. 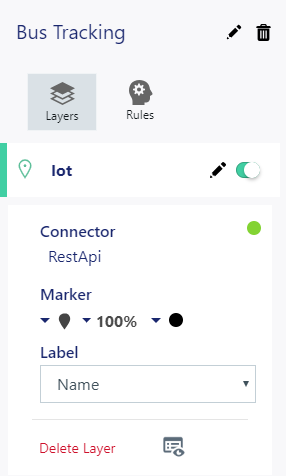 The rule applies to “All” objects in the “IoT” layer. It checks whether the value of the Speed ​​property of an IoT is greater than 13.8 metres/second (50 km/h). If the condition is true for a particular object, the color of the object is changed and an email is sent. 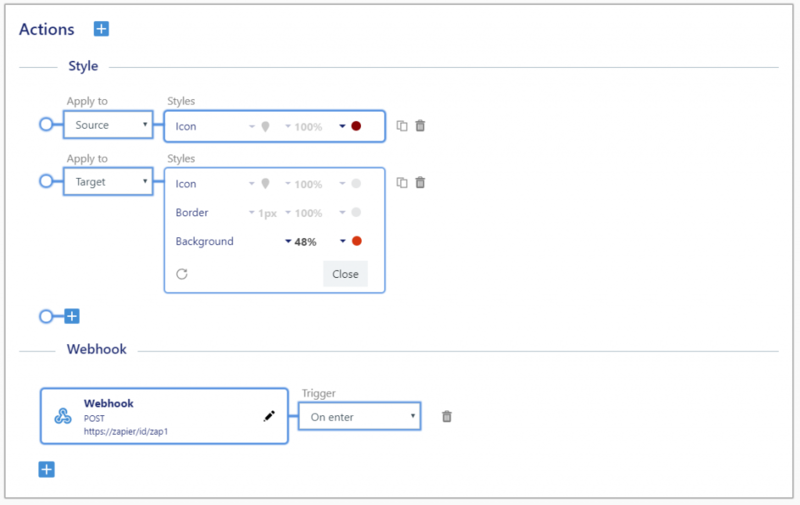 To this rule, the necessary actions are added to modify the style of the IoTs and the underlying areas, and send a Webhook to Zapier to populate a report, for example. For details on Zapier actions and styles, see the tutorial on this topic. At this point, the tracking system and all the business rules are now in place. Now it is time to integrate the solution itself into your product. 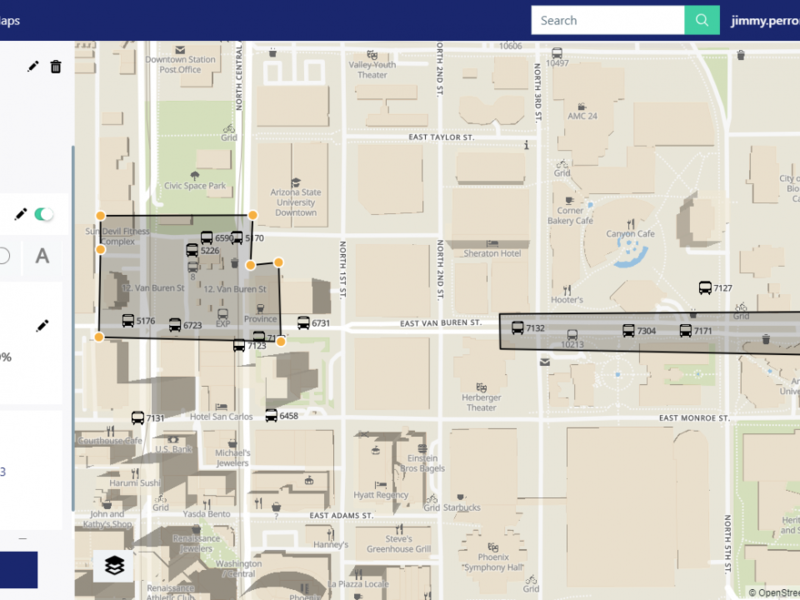 To integrate your brand new map into a web portal, you first need to generate a key/token for the map to share. To do this, go to the “Settings / API Keys” page at the top right of Rasters.io. Then just add a key and relate the corresponding map. This token allows access to the map from any environment. 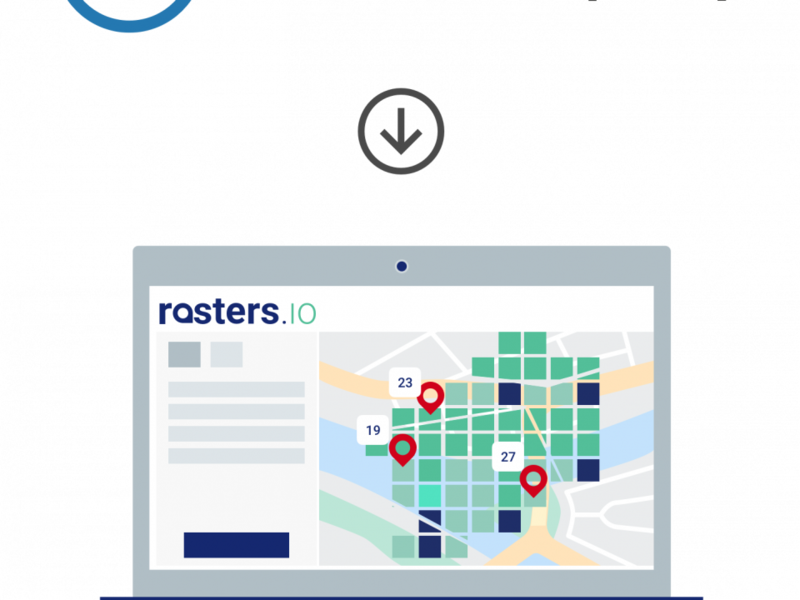 Rasters.io greatly simplifies the integration of an IoT management system with business systems. 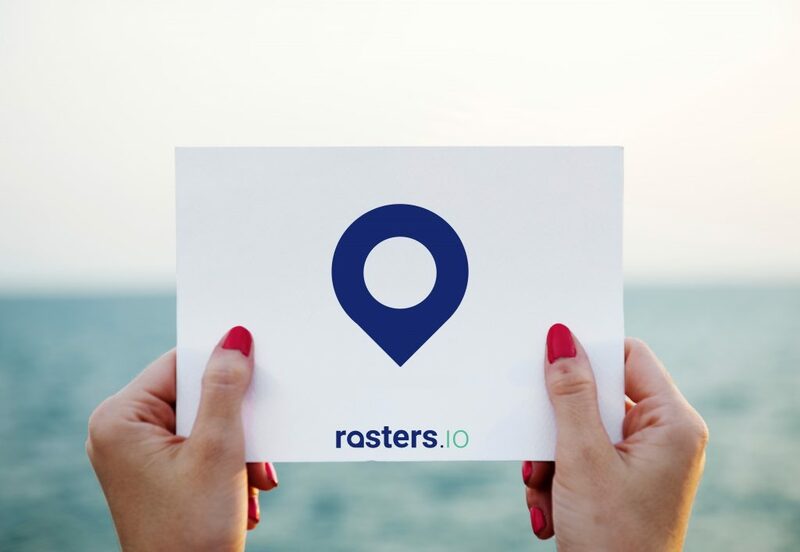 Try Rasters.io for free right now to set up your maps and connect your devices.